All good dog owners know that grooming isn’t just about primping your pet to look cute; it’s also about maintaining good health. The first time you groom your puppy is an important occasion that requires careful preparation and dedication. Don’t be put off by your inexperience; it’s easy to do once you know how. If you approach the situation armed with good advice and confidence, all will go smoothly for you and your furry friend. Puppies are obviously going to be more challenging to groom than an older dog, and the first grooming experience is much like a child’s first haircut, i.e. expect some tears and tantrums! In the weeks before grooming, concentrate on building a positive relationship with your puppy and ensure he is as comfortable as possible with touch and being handled in anyway. This is probably the most important thing you can do to prepare for grooming. Your aim is to make each session a calming, bonding experience. You can practice this with positive reinforcement whenever you feed your puppy from your hand; stroke your puppy as it is lying down and gradually teach that being held by you is not dangerous. Create a friendly environment so that your puppy immediately knows that whatever is about to happen is safe and enjoyable. Show affection with petting and soothing words so that the puppy is relaxed. Keep your first groom session short, that way the puppy won’t misbehave and when you are ready for a second session, your puppy will be more used to the process and you can gradually go for longer each time. Keep your puppy loosely restrained so that you can maintain your control without frightening him is also important. Begin with a nice, relaxing bath using puppy shampoo and conditioner. Take care not to get soap in the puppy’s eyes. To really put your dog at ease, you can give it a massage as you work your way lathering down the back towards the tail and back legs. For the first session keep the brushing to a minimum. Be aware that any brushes, clippers and tools might alarm the puppy so show each brush or comb to the pup first before giving a treat as a reward. Do this a few times before then giving the puppy a few short strokes with the item. Be mindful of sensitive areas at first like inner legs and tail. If unsure about clipping claws you should seek advice from a vet beforehand. Grooming sessions at first should be short but done fairly often so that your puppy becomes accustomed to them and learns to associate them as just another fun activity to share with you. Every dog is special in his own way and, by extension, his own preferences for toys. 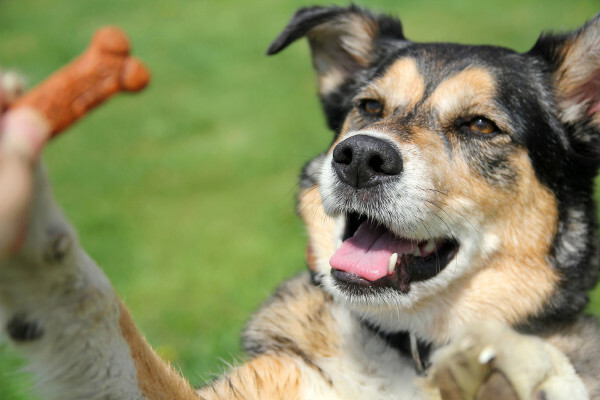 You can’t expect the German Shepard, a proud working dog, to willingly enjoy the same toys as a Pomeranian or a Shiba Inu – which are basically the canine versions of cats, but more on that another time. As with every dog breed, in order to find the perfect toys, you may have to apply the old rule of trial and error before choosing the perfect plaything that your pet will not ignore as soon as he is presented with it. You will certainly relate to this feeling of frustration if you own a Beagle, a hyperactive breed that gets bored as easily as it gets excited. Because they are affected by what experts call ‘’separation anxiety’’, this particular breed needs a great deal of attention and effort, so it is best to ensure that he has a wide assortment of toys to keep him busy. Here is how to find the best toys for your beagle. 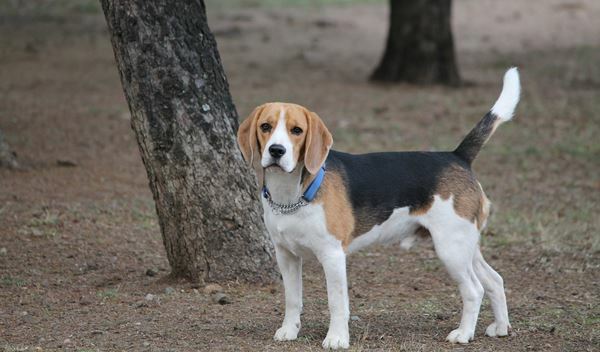 The Beagle is a breed of small hound which was developed primarily for hunting hare. As a result, out of all the dogs breeds, they have one of the best senses of smell and can get easily distracted by any unfamiliar scents. But even stronger than their smell is their urge to chew, especially as puppies, when they are teething. Because teething can give them a great deal of discomfort, they will tend to latch on the first thing that they see and start chewing. Apart from making your house chewing proof, the best thing you can do to manage this situation is by providing the young Beagle with specially designed chewing toys. These will not only quell their urge to munch on everything that they encounter but will also help them develop healthy chewing habits once they reach adulthood. For finding out which are the best dog toys for power chewers, you can always check out review websites such as ToyPetReviews. You should choose a few teething toys with different textures so that the puppy can decide for himself which one he prefers, and durable, to keep him away from destroying your furniture once he rips the toy apart. Make sure to choose toys that are made out of rubber, because the Beagle will find the sensation of rubbing them against his gums and teeth soothing and relaxing. While the beagle is characterized by an even temper and a generally gentle disposition, they have excessive amounts of energy and require lots of attention. Because they were trained and bred to hunt hares and foxes, they are hard-wired to incessantly run around and chase the first thing that captures their attention. Because of this same reason and their single-mindedness, they are very hard to train and control. Therefore, you should focus on toys that are able to catch the Beagle’s attention and satisfy his hunting instincts. Make sure to choose toys that let out captivating noises (rattles, squeaks, etc.) or special toys that call out phrases. If the toys are shaped in the form of ducks, hares or foxes (animals which Beagles are naturally inclined to chase), all the better. 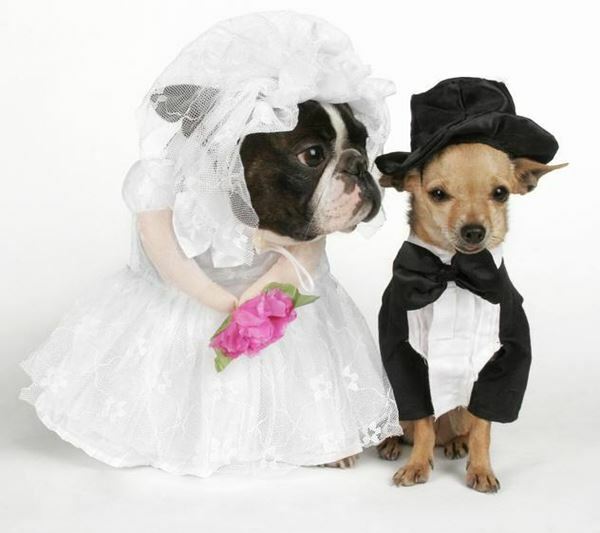 In this way, your Beagle will be properly engaged, and have tons of fun in the process. As we have previously mentioned above, many breeds of dogs suffer from what experts call separation anxiety. Because Beagles are essentially pack dogs who were bred to live in close proximity to their owners and other canines, separation anxiety takes an even greater toll on their psyche. Beagle owners should prioritize creating a spacious, well-lit environment with a diverse soundscape to keep the dogs calm and relaxed. Since the owners can’t possibly stay with their Beagles for the entire duration of the day, owners should, apart from purchasing another dog to eliminate any feelings of loneliness, get toys that are designed to provide them with a sense of companionship. For example, a good product that will surely make the Beagle happy is the Zippy Paws Squeakie Pup Plush Toy, which is designed to look exactly like a Beagle Puppy. This plush toy has no stuffing inside (so you will not have to worry about cleaning after him) and is equipped with ten big squeakers, which will keep the dog engaged and happy. Due to their constant presence in pop culture and success of the comic strip Peanuts, the beagle is the most famous dog breed in the world. This particular breed is extremely energetic and friendly towards humans and other animals but can be very hard to manage and control due to their strong hunting instincts. Therefore, Beagle toys should constitute an extension of their strong temperaments and personalities – safe chewing items to calm their impulses, toys to keep them distracted, and playthings that are specially designed to manage their separation anxiety. Make sure to give these tips a thorough read, and you will surely find toys that your Beagle will enjoy. Just like we humans have adapted to the changing lifestyles around us – longer workdays, smaller outdoor spaces – our furry friends also have had to adjust to the modern life. Gone are the days, where we could just leave our dogs outdoors to run in the fields, as most of us live in smaller apartments in the city. Unfortunately, dogs can get anxious spending all of their day indoors alone. The good news is you can help your dog feel just a little less anxious at home with the below tips. 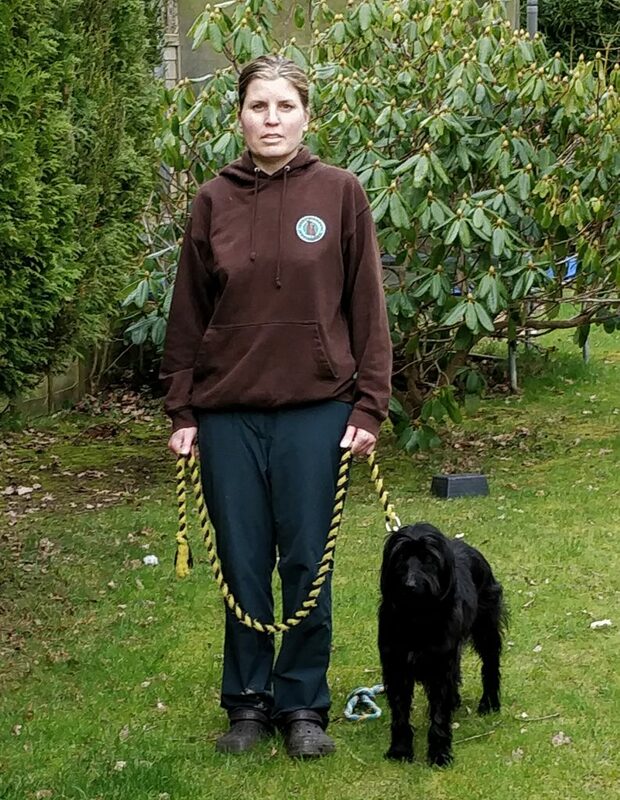 Most dog owners are responsible for training dogs to do all sorts of tricks and behave well, but when it comes to training the dog to be alone, we aren’t always so good. It’s important to ensure your dog never has to adjust to a new situation unexpectedly, but has more time to get used to the situation. This means you should slowly start training your dog to stay home alone. Dog training books often provide great tips on how to achieve this. The main thing to remember is to advance slowly and to reward good behaviour. In addition, if your dog has ended up destroying furniture or leaving a mess while you were out, don’t punish the dog. 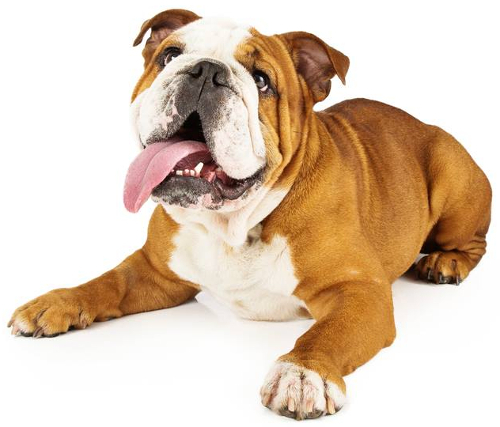 To your dog, the punishment would relate to the thing they are doing at the time you punish them – a dog won’t understand you are punishing him for chewing your dogs four hours ago. You’ve all been resting for the night, the alarm goes off and you rush through your morning routine, while your dog eats his breakfast. You are running a bit late and so the morning walk is just a minute-long brisk visit to outside. Sounds familiar? It should also sound awfully boring, as your dog will be left at home, full of energy while you go to work. Energetic dogs in an empty home with not much to do equal certain chaos. 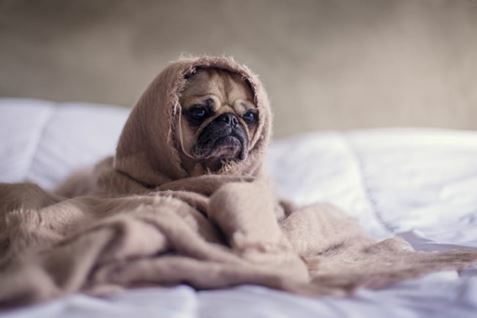 It’s essential you get your dog as tired as possible in the morning, to ensure they are happy to stay home alone with only a few things to occupy them. Depending on your dog’s breed and size, a long walk is a fantastic idea for the mornings. If you had to sit in a relatively empty room for eight hours every day, you’d most likely end up going crazy. So, you shouldn’t be surprised if your dog entertains himself by chewing the sofa while you are away. 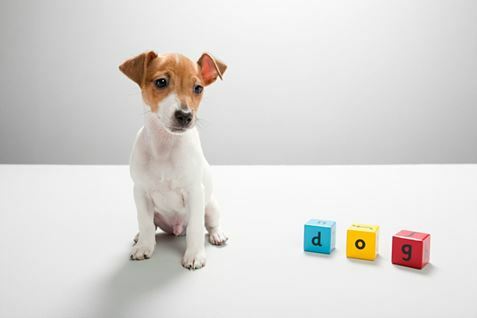 Provide your dog with something fun to do, such as food-dispending toys, or other chewy toys. Dogs love foraging, so you can hide pieces of dry food around the home for the dog to search and find. 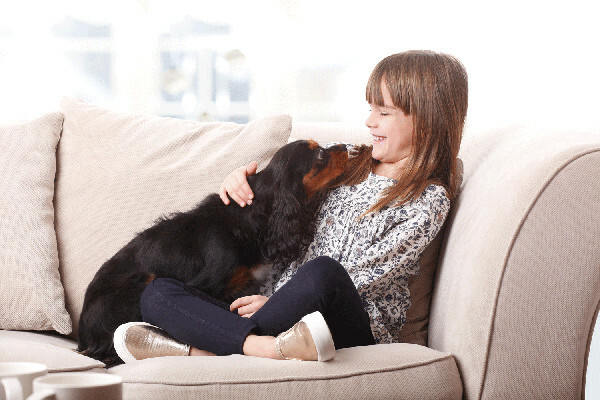 There’s a wealth of great dog toys available at various pet stores like MedicAnimal, Zooplus, Pet Supermarket, and more at VoucherBin UK. You could also experiment with things such as radio or TV. Most modern models can be timed to go on and off at a specific time and the dog might find these sounds soothing during a long day. Finally, your dog isn’t required to spend the whole day on its own. You got a range of options available from a full doggie day care to a doggie walker to add a small change to the dog’s daily routine. The Good Dog Guide has a list of options around the UK for both day care and daily walks. Most dogs can present some naughty behaviour and signs of boredom after long days alone. 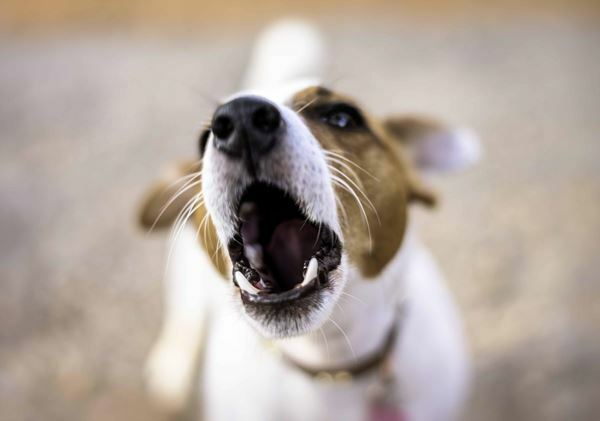 But if your dog is extremely restless and whiny, as you begin to leave and you are constantly met with gnawed doors and items, the dog might be suffering from genuine separation anxiety. If you suspect this is the case, it might be a good idea to film your dog a bit while he is home alone. If the dog behaves anxiously, talk to your vet about the issues. Separation anxiety can be treated with behavioural training and in some instances with medication.